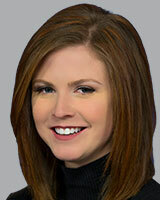 Julie Wilson is ABC11's Breaking News Anchor Monday-Thursday on Good Morning Carolina on ABC11 Eyewitness News. Julie also anchors Sunday mornings. She joined ABC11 in January of 2017. Notable reports for ABC11 include coverage of Hurricane Florence. During Florence, she showed viewers boat rescues in New Bern after the town was flooded from storm surge. In the days after, Julie took viewers on a two-hour exclusive live tour of Atlantic Beach before it opened to residents. Prior to ABC11, Julie worked as a Multi-Media Journalist at Fox 5 in Springfield, Missouri. During her time in Springfield, she received a nomination for a Mid-America Emmy for her story on Domestic Violence. Julie is a dog lover, volunteering weekly with Animal Protection Society of Durham. Julie is a graduate of Missouri State University with a Bachelor's in Interpersonal Communication. Governor Roy Cooper came to Durham Thursday morning to assess the damage caused by last week's deadly explosion. The NCDOT is looking for residents who are willing to help clean up roadways after spending more than $1 million on trash pickup in 2018.